The answer to the question posed in the title of this post seems pretty obvious – to track the whereabouts of your cat! However, when we look into things in more detail, we can see that there are more significant, underlying reasons, why you might want to keep track of your cat’s location with a tracking device. Probably the most fundamental reason for purchasing a cat tracker. We all know how inquisitive our pets are. And it’s a rare cat owner who hasn’t ever had to go out searching for their cat because they’ve been missing for a longer period than normal. With a cat locating device fixed securely to your cat’s collar, you don’t need to worry about them going missing and not being able to find them ever again. But just why is it that we should think about being able to locate our cats in the first place? You can see from one of our previous posts (http://mytabcat.com/how-far-do-cats-roam/) that cats are unlikely to end up miles away from home. However, they certainly do like to wander about within their ‘own territory’. With quite a large area to cover, most people would be unlikely to be able to simply find their cat by walking around themselves. So having a good idea as to where you should be heading for is going to save you a lot of time – and stress – when you start searching for your pet. And obviously it’s not just distance that’s an issue. There will almost certainly be a number of physical barriers and obstacles to overcome if you’re out looking for your cat. These will include such things as household fences, brick walls, hedges etc. Without a clear sense of direction as to where your cat is situated, these obstacles can soon become disorienting. So you can end up heading in a different direction from the one you originally intended – which makes searching for your cat over a large area of ground all the more difficult. Using a tracking device to pinpoint your cat’s location will help you to keep on the right path to finding them as quickly as possible, without getting lost on the way. Of course, though, it’s not just about finding your cat. One of the scariest things for any pet owner is the thought of your beloved family member becoming trapped in unfamiliar surroundings. – Outbuildings, garages and sheds, where your cat may wander in to an open door or window, then find they can’t find their way back to the opening. Or, indeed, the opening may close behind them once they’ve got through. – Factories and office buildings, where your cat may be able to get in, but unable to find their way back out. – Holes in the ground, such as rabbit holes or holes made by other animals, where it becomes increasingly difficult for your cat to turn round, so trapping them underground. – Trees are a staple of comic stories, but it is simply a fact that cats can become stuck on the branches of a tree. Cats are exceptionally good at climbing upwards, but not so good at climbing back down again. – Other people’s houses are also a lure for cats. While this might not indicate they are particularly ‘trapped’, you will certainly want to know if your cat starts visiting other people in the area. With the safety and security that comes from knowing you’ll be able to find your cat – wherever they get to – you’re certain to feel much better about letting them roam around outside as much as they want. 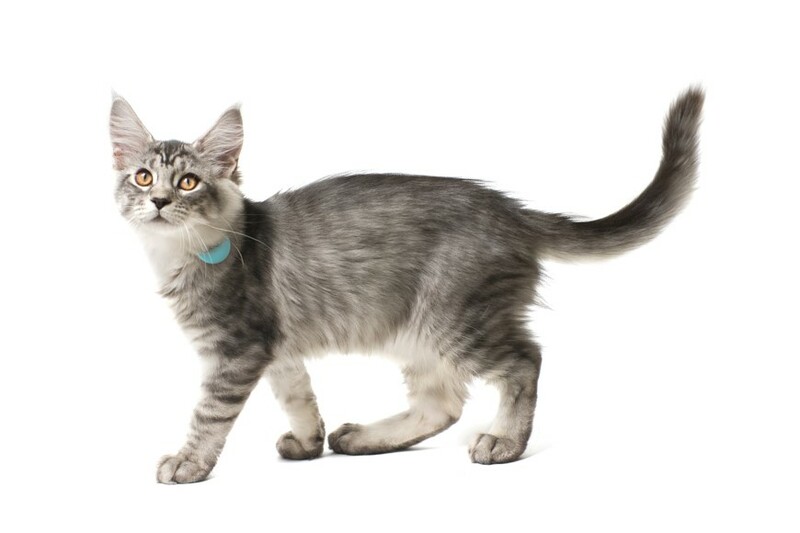 Our recommended device – the Tabcat cat tracker – fits easily but securely onto your cat’s collar, without causing any irritation or the kind of uncomfortable sensation that comes with larger cat locating devices. And because our system uses radio frequency, rather than GPS, to locate your cat, you can be sure of pinpoint accuracy and less expensive running costs. Read more about the Tabcat cat tracker and how you can buy it online.